1. This Decree provides for investment domains, conditions, order, procedures and incentives; and rights and obligations of parties to build-operate-transfer, build-transfer-operate and build-transfer contracts. The Ministry of Planning and Investment shall, on a case-by-case basis, submit other project contracts of similar forms to the Prime Minister for consideration and decision. 2. This Decree applies to investors, state agencies competent to sign and perform project contracts, and agencies, organizations, individuals and enterprises involved in project implementation as provided for in this Decree. 1. Build-operate-transfer (BOT) contract means a contract signed between a competent state agency and an investor to build and operate an infrastructure facility in a specified duration. Upon the expiration of this duration, the investor shall transfer without compensation such facility to the Vietnamese State. 2. Build-transfer-operate (BTO) contract means a contract signed between a competent state agency and an investor to build an infrastructure facility. After completely building this infrastructure facility, the investor shall transfer it to the Vietnamese State. The Government will grant the investor the right to operate that facility for a specified duration to recover investment capital and earn profits. 3. Build-transfer (BT) contract means a contract signed between a competent state agency and an investor to build an infrastructure facility. After completely building this infrastructure facility, the investor shall transfer it to the Vietnamese State. The Government will create conditions for the investor to implement other projects for recovering investment capital and earning profits or shall make payments to the investor as agreed in the BT contract. 4. Project means the one to be implemented under a BOT. BTO or BT contract. Projects include national important projects and other projects classified into groups A, B and C under the construction law. 5. Another/other projects means a different project or projects which a competent state agency assigns to an investor for implementation under the terms agreed in the project contract. 6. Project contract means a BOT, BTO or BT contract as defined respectively in Clause 1, 2 or 3 of this Article and attached documents. 7. Investors include organizations and individuals defined in the Investment Law. 8. BOT, BTO or BT enterprise (below collectively referred to as project enterprise) means an enterprise established by an investor to design, build, operate and manage project works and implement other projects. 9. Feasibility study report (work construction investment project) means a combination of proposals relating to the contribution of capital for designing, building, operating and managing infrastructure facilities in the form of BOT. BTO or BT contract. 10. Infrastructure facilities means facilities encouraged for construction specified in Article 4 of this Decree. 11. Project work means a BOT, BTO or BT work. 1. State agencies competent to sign and perform project contracts include ministries, ministerial-level agencies, government-attached agencies and People's Committees of provinces or centrally run cities (below collectively referred to as ministries, branches and provincial-level People's Committees). 2. Based on their specific functions, tasks, powers and management conditions, ministries, branches and provincial-level People's Committees may authorize their attached agencies to sign and perform contracts of group-B and group-C projects. 3. State agency competent to sign and perform a project contract is a party to the project contract and has the rights, obligations and responsibilities as agreed with the investor in the project contract. 4. Depending on the characteristics and size of a project, a competent state agency may form a full-time section or designate a professional agency under its management to act as the focal point in exercising its rights and fulfilling its obligations indicated in the project contract but shall, in all cases, take total responsibility for the obligations committed in the project contract. f/ Other infrastructure facilities as decided by the Prime Minister. 2. For works specified at Point f, Clause 1 of this Article, ministries, branches and provincial-level People's Committees shall collect written opinions of concerned ministries, branches and localities and submit them to the Prime Minister for consideration and decision on a case-by-case basis. 1. Investors or project enterprises shall raise by themselves capital sources for project implementation as agreed in project contracts. 2. For a project capitalized at up to VND 1.5 trillion, the project enterprise's equity must not be lower than 15% of the project's total investment capital. b/ For the investment capital portion of over VND 1.5 trillion, the project enterprise's equity must not be lower than 10% of this capital portion. 4. Other projects must satisfy the equity requirement (if any) under law. 1. The total state capital for implementation of a project must not exceed 49% of the total investment capital of that project. 2. For projects to be implemented to meet urgent needs for the use of infrastructure facilities and other important projects, ministries, branches and provincial-level People's Committees shall consider and decide on the use of state budget capital for building auxiliary works, organizing compensation, ground clearance and resettlement or performing other jobs to support project implementation. 3. Capital sources for supporting the implementation of a project specified in Clause 2 of this Article will not be included in the total investment capital of that project and shall be managed and used under regulations applicable to state-funded investment projects. c/ Some independent legal, technical and financial experts as decided by the competent state agency. c/ To perform other tasks at the request of the competent state agency. 3. The working duration of an inter-branch working party shall be decided by the competent state agency, depending on the project implementation requirements. 1. Expenses for making and announcing lists of projects and selecting investors and other expenses relating to the performance of powers and responsibilities of competent state agencies shall be allocated from the state budget, based on approved cost estimates. 2. Expenses for formulating and appraising project feasibility study reports or project proposals, including expenses relating to the preparation of other projects (excluding project proposals made by investors under Article 11 of this Decree) shall be allocated from the state budget and other revenue sources (if any). 3. Depending on the characteristics and size of a project, the investor selected to implement the project shall pay project preparation expenses specified in Clause 2 of this Article to the competent state agency. 1. Based on socio-economic development plannings and plans in each period and pursuant to Article 4 of this Decree, ministries, branches and provincial-level People's Committees shall make lists of BOT, BTO and BT projects of branches and localities (below referred to as lists of projects). e/ Name, address, telephone number and fax number of the state agency competent to sign and perform the project contract. 3. Depending on objectives, characteristics and location of each project on the list of projects, ministries, branches and provincial-level People's Committees shall send the list of projects to concerned ministries, branches and localities for opinion. 4. A written request for opinions of the agencies defined in Clause 3 of this Article must explain the objectives, location, designed capacity, estimated investment capital, and essential technical and financial requirements of each project on the list of projects. 5. Based on their functions, tasks and powers defined by law, within 30 working days after receiving a list of projects, concerned ministries, branches and localities shall give written opinions on the issues specified in Clause 4 of this Article and other issues. 6. An announced list of projects may be modified or supplemented in case of any modifications in branch or local socio-economic development plannings or plans or in a project on the list. 1. In January every year, ministries, branches and provincial-level People's Committees shall publish lists of projects on their websites and the Bidding Newspaper in 3 consecutive issues. The announced list of projects must contain the principal details specified in Clause 2, Article 9 of this Decree. 2. The minimum time limit for an investor to select and register to implement a project with a competent state agency is 30 working days from the date of the last publication of the list of projects under Clause 1 of this Article. 3. Upon the expiration of the time limit specified in Clause 2 of this Article, the competent state agency shall publish the list of investors that have registered in writing to implement projects on the Bidding Newspaper and the websites of ministries, branches and localities. 1. Investors may request implementation of projects outside the announced list of projects and shall make and send project proposals to ministries, branches and provincial-level People's Committees for approval. 2. A project proposal must contain the details specified in Clause 2 of Article 12.
d/ Other documents necessary for explaining the project proposal. 4. Ministries, branches and provincial-level People's Committees shall receive project proposals falling within their functions, tasks and powers and consider and approve them under Clauses 3, 4 and 5, Article 9 of this Decree. For proposals of projects not yet included in branch development plannings, ministries, branches and provincial-level People's Committees shall consider and supplement according to their competence these projects to these plannings or submit such supplementation to the Prime Minister for consideration and approval. 5. In case the project proposals are approved, ministries, branches and provincial-level People's Committees shall decide to add the projects to the lists of projects and publish the principal details of these projects under Clause 2, Article 9 on their websites and the Bidding Newspaper in 3 consecutive issues. Within 30 working days from the date of the last publication, if no other investors register to implement the projects, ministries, branches and provincial-level People's Committees shall decide to designate investors with the approved project proposals to negotiate project contracts. 6. If other investors register to implement projects, ministries, branches and provincial-level People's Committees shall organize bidding for selecting investors under Article 13 of this Decree. 1. Depending on the characteristics and size of a project, the competent state agency shall make a feasibility study report or a project proposal for use as a basis for making a bidding dossier and negotiating a project contract with the investor. j/ For BT projects, in addition to the details specified at Points a, b, c, d, g, h and i of this Clause, a project proposal must indicate payment conditions or conditions for implementing other projects. 3. For BOT and BTO projects, a feasibility study report must contain the details prescribed by the construction law and the details specified in Clause 2 of this Article. 4. For BT projects, in addition to the details prescribed by the construction law, a feasibility study report must contain the relevant details specified at Points a, b, c, d, g, h, i and j, Clause 2 of this Article. b/ Ministers, heads of ministerial-level agencies and chairpersons of provincial-level People's Committees may approve feasibility study reports and proposals of other projects of groups A, B and C.
For a project on the announced list of projects with 2 or more investors registering to implement, the competent state agency shall organize domestic or international open bidding for selecting investors. 2. The case specified in Clause 5, Article 11 of this Decree. 3. The project should be implemented to meet urgent needs for use of infrastructure facilities as decided by the Prime Minister at the proposal of a ministry, branch or provincial-level People's Committee and based on the appraisal report of the Ministry of Planning and Investment. 1. Based on investor selection results specified in Articles 13 and 14 of this Decree, the competent state agency shall negotiate the project contract with the selected investor. 2. The rights and obligations of project enterprises and the right to receive projects under Articles 16 and 17 of this Decree and contracts related to project implementation (if any) may be negotiated simultaneously with project contracts. 3. After finishing negotiations, project contracts and contracts related to project implementation (if any) shall be initialed between the involved parties. 4. After a project is granted an investment certificate under the provisions of Chapter V of this Decree, the investor and the competent state agency shall officially sign the project contract. In case of any modifications in the project contract as compared with the initialed one, the investor shall notify such modifications to the investment certificate-granting agency before officially signing the project contract. 1. A project contract indicates the objectives, scope and contents of the project; the rights and obligations of the parties to design, build, operate and manage the project work and other projects (if any). b/ The competent state agency, the investor and the project enterprise shall sign a document permitting the project enterprise to receive and exercise the rights and fulfill the obligations of the investor as indicated in the project contract. This document is an integral part of the project contract. 1. The parties may agree on the lender's receipt of some or all of the rights and obligations of the project enterprise (below referred to as the right to receive projects) in case the project enterprise or the investor fails to fulfill the obligations indicated in the project contract or the loan contract. After receiving a project, the lender shall fulfill all the obligations of the project enterprise or the investor as indicated in the project contract. 2. The conditions and procedures for exercise and contents of the lender's right to receive a project must be specified in the loan contract, written loan guarantee or another agreement signed between the project enterprise or the* investor and the lender, and are subject to approval of the competent state agency. 1. An investor may transfer some or all of his/her/its rights and obligations under the project contract. 2. The transfer of part or the whole of another project must comply with conditions and procedures prescribed in the investment and construction laws and relevant legal documents. 3. The transfer under Clauses 1 and 2 of this Article is subject to approval of a competent state agency and must not affect the objectives, size, technical standards and implementation progress of the project and other conditions agreed in the project contract. 1. A project contract may be modified and supplemented in case of any change in the agreed size, work technical standards or total investment capital, or due to the occurrence of a. force majeure event and in other cases as indicated in the project contract. 2. The parties shall agree in the project contract on the conditions for modification and supplementation of the project contract. 3. The modification and supplementation of a project contract is subject to approval of the investment certificate-granting agency. 1. The term of a project contract shall be agreed by the parties to suit the domain, size and characteristics of the project and may be extended or shortened under the conditions specified in the project contract. 2. For BOT and BTO contracts, the parties shall agree on the specific points of time and duration for building and completion of a work; specific points of time and duration for operation-transfer of a work (for BOT contracts) and specific points of time and duration for transfer-operation (for BTO contracts). 3. For BT contracts, the parties shall agree on the specific points of time and duration for building and transfer of a BT work, and specific points of time and duration for operation and completion of another project depending on the project's domains, size and characteristics in accordance with the investment and construction laws and relevant legal documents. 1. A project contract will terminate upon the expiration of the agreed term or will terminate ahead of time when any of the parties breaches the contract without applying effective remedies, a force majeure event occurs or in other cases indicated in the project contract. 2. The parties shall agree in the project contract the conditions for contract termination and handling measures when it terminates ahead of time in the cases specified in Clause 1 of this Article. b/ Contracts under which the performance obligations are guaranteed by the competent state agency under Article 40 of this Decree . 2. The application of foreign laws under Clause 1 of this Article must not contravene the Vietnamese law. 1. Measures to secure the project contract performance obligation shall be applied in the form of bank guarantee or other obligation security measures under the civil law. 2. For projects capitalized at up to VND 1.5 trillion, the amount for securing the project contract performance obligation must not be lower than 2% of total investment capital. 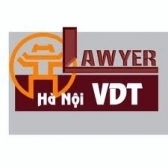 b/ For the investment capital portion of over VND 1.5 trillion, the amount for securing the project contract performance obligation must not be lower than 1% of this capital portion. 4. The security for the project contract performance obligation is valid from the date the project contract is officially signed to the date the work is completed. c/ Projects to be implemented in many provinces and centrally run cities. 2. Provincial-level People's Committees grant investment certificates for the projects not mentioned in Clause 1 of this Article. 1. An investor shall submit 10 dossier sets, including at least one original, to the investment certificate-granting agency defined in Article 24 of this Decree for examination and grant of an investment certificate. d/ The joint venture contract and the project enterprise charter (if any). e/ The investor's proposals on investment incentives or government guarantee (if any). 4. The investment certificate-granting agency shall examine the dossier and grant an investment certificate to the investor within 45 working days after receiving a valid dossier.